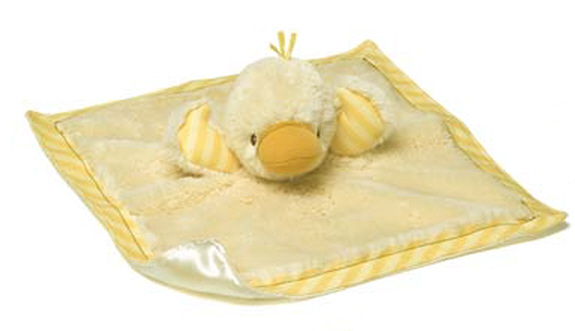 The GUND® Satineesnug™ Silly Stripes Duck blankie is made of soft light yellow plush fabric. 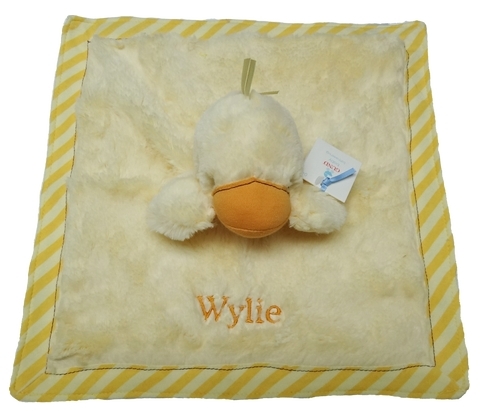 It is lined with a ivory satin and has a yellow striped soft cotton knit fabric border around the blanket. The wings are lined with the same yellow striped fabric as the border. 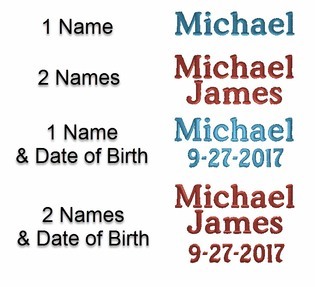 It has an orange bill. The eyes and features are all embroidered. The blanket measures 13" / 32.5 cm long . It is machine washable and dryable.